The best honeymoon destinations in the Philippines range from luxurious private paradise islands to affordable beach getaways and mountain adventures. Think clear blue waters for diving or snorkeling and long, powdery beaches. Or disconnect from the world and breathe in fresh, crisp mountain air. How about hitting up hip bars in a buzzing city? Whatever are your specs for honeymoon destination, you can’t go wrong with the Philippines. With over 7,000 islands to its name, the Philippines has risen to honeymoon bucket lists in recent years. This tropical country is best known for its amazing beaches with three of its islands named the best in Asia by Conde Nast Travel and Travel + Leisure. With a vastly diverse landscape and topography, the Philippines is any nature lover’s dream destination. What’s more romantic than watching a splendid sunset lounging on a white sand beach or overlooking the mountains? Add affordable prices (mostly) everywhere in the country, and the Philippines is a perfect choice for any honeymoon – for any budget! Wondering where to celebrate your newly-wedded bliss? If you’re looking to cuddle up with your new husband or wife, here are some of the best honeymoon destinations in the Philippines. All pictures in this post are from Pixabay (free license). There’s no denying it: Palawan is the pride and joy of the Philippines for honeymooners. 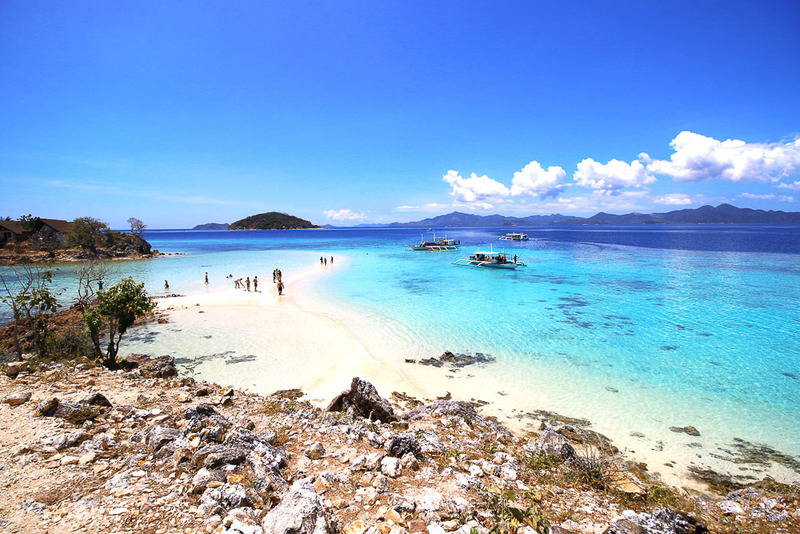 Hailed for many years as one of the country’s most beautiful islands, Palawan is a favorite for locals and travelers. Its crystal blue waters are home to thriving corals and reefs surrounded by limestone cliffs and deserted islets. El Nido, in particular, is a dream destination for a luxury honeymoon. The town is located at the tip Palawan and known for some of the most luxurious resorts in the country. Most of these resorts are perched on their own private islands, ensuring utmost luxury for their guests. Back in town, many hotels and AirBnB’s have created budget accommodations for all kinds of travelers. 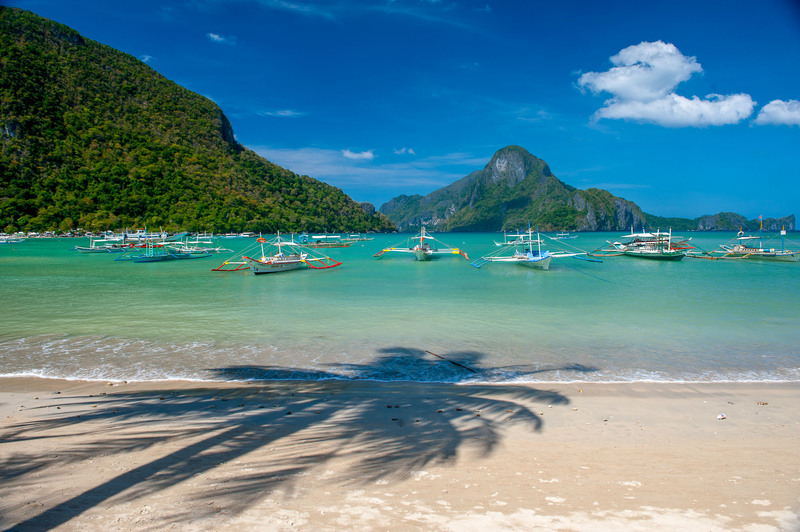 Island hopping around El Nido is a breathtaking way to celebrate a honeymoon. There are several packages to choose from, each one highlighting different locations in El Nido. 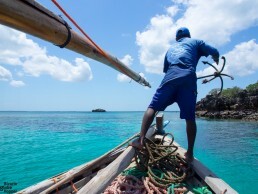 Public island hopping tours come at a standard rate. Most resorts also offer private and exclusive tours on speedboats and yachts for couples who simply want to spend the most time with each other. You can be as private or as social as you can be in El Nido. Swim your way through El Nido’s lagoons, cave pools, and marine sanctuaries, and enjoy lunch or dinner picnics on one of the many paradise islands. If you pick El Nido for your honeymoon destination, breathtaking sceneries are guaranteed. Another town in Palawan is Busuanga, found two hours away from the more popular Coron town. 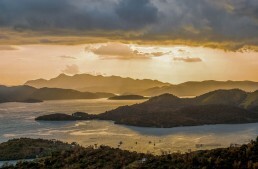 While Coron is an amazing destination in itself, Busuanga is far more quiet, far more private, and far more luxurious. If you’re a couple who dives, then you’ve hit the jackpot: just a few kilometers from the bay area are the best Japanese shipwrecks sunk during World War II. Honeymoon in Busuanga Bay allows you to spend every day snorkeling, diving, or simply enjoying each other’s company in the comfort of cliffside resorts. 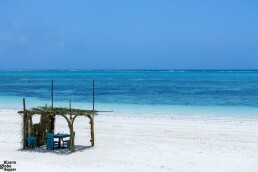 You can also book speedboat rides to neighboring islands, or even set up private dinners or picnics by the shore. However, Busuanga is a very sleepy and quiet town, and there isn’t much to explore outside of your resort when night comes. 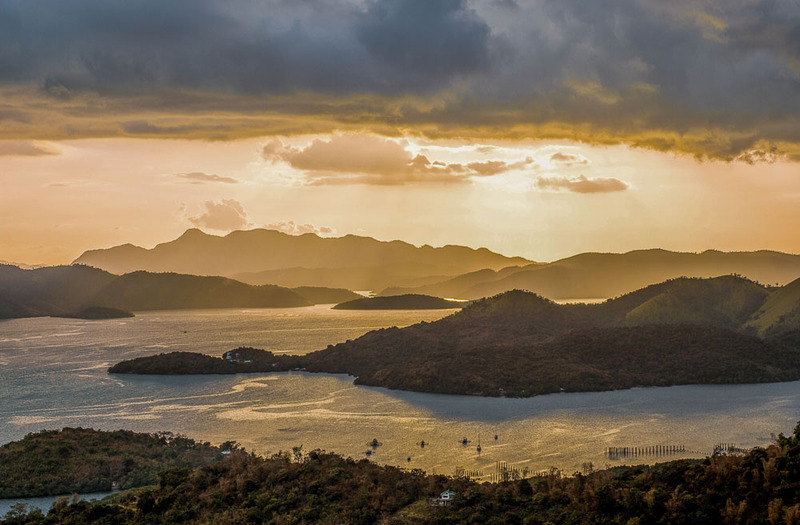 Honeymoon in Busuanga is for couples who want to be blown away by thriving marine life and a wealth of islands in the day and spend the rest of the night in each other’s loving company. Flying into the airport at Coron from Manila, Busuanga Bay is an hour’s drive in the opposite direction from the more crowded Coron Town. 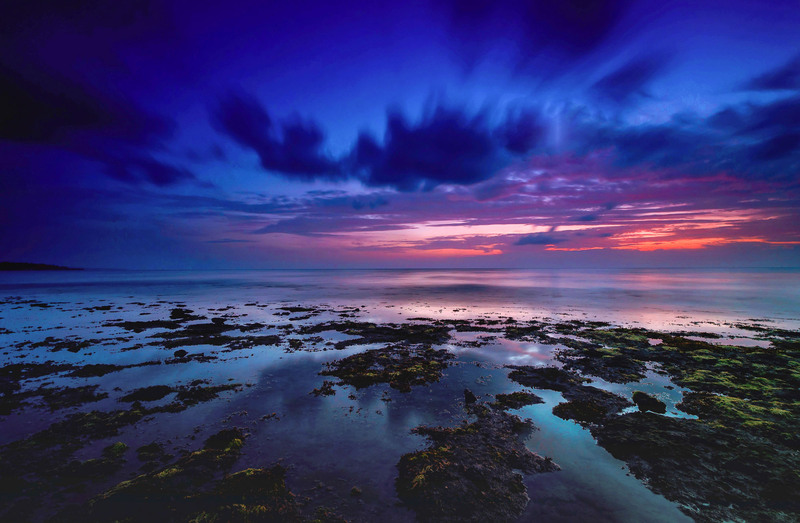 Around the bay is a collection of high-end resorts that share sunset views and blue waters. Amanpulo’s list of visitors includes Brad Pitt, Angelina Jolie, Beyonce, and many of the Philippines’ biggest stars and politicians. Without a doubt, Amanpulo is among the best luxurious honeymoon destinations in the Philippines. Considered as the most VIP luxury island in the Philippines, Amanpulo is only reachable via private plane from Manila. This 1.5-mile long paradise exudes opulence and exclusivity in every sense of the word. Amanpulo offers forty “casitas” for honeymooners and private villas for sale for the super wealthy. Each casita has direct beach access, an outdoor shower, private deck with hammocks, gargantuan bathtub, and a designated “guest assistant” that will be on your beck and call throughout your stay. With so much pampering to be done in individual casitas, it’s not uncommon to spend their days in their own patches of beach with barely any other guests in sight. However, thrill seekers won’t be left hanging. A myriad of water activities include snorkeling trips, windsurfing, paddle boarding, and diving. Monitor lizards also inhabit the island, which are common all over Palawan. They’re pretty harmless, but if they make you squirm, then couples can simply drive themselves around in their private buggy. Relax in the lounge pool, treetop spa, or go for a game of tennis at the clubhouse. Batanes is not a common choice for many travelers, but a destination that will surely take your breath away. Batanes is the Philippines’ northernmost province and gives a completely different perspective of what the country looks like as an island country. It’s the best honeymoon destination for those who would like to venture off the beaten path. Batanes is composed of 10 islands scattered over the Luzon Strait, all of which formed from volcanic origins. Unlike many other islands in the Philippines, Batanes is hilly and mountainous with viewpoints miles above the waves crashing into cliffs. The coves and beaches of Batanes are truly unique. While it still boasts of white and cream sand beaches, you’ll find beaches covered with pebbles, rocky coasts and ridges, and many hidden coves. The diverse shoreline makes Batanes an exciting destination for both land- and sea-lovers. At the very least, the landscapes in the province are surreal with a very long list of viewpoints for panoramic views of mountain, sky, and sea. It has a very countryside feel, and couples are sure to get some real quality time discovering the wonders of the province. Couples will surely find a trip to Batanes to be memorable and different from anywhere else they can visit in the Philippines. With vast meadows and staggering peaks, it’s also a great time for couples to be alone with nature and just breathe in the beauty of Batanes. Boracay is in every “best of” Philippines list, and for a good reason. 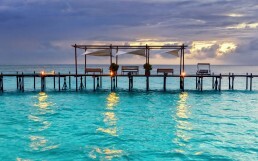 It should be also dubbed as the best honeymoon destination for budget travelers. After Boracay’s rehabilitation in 2018, the island has shed its previous reputation of being a party island filled with crowds of people. Now, it’s the very picture of island paradise – powdery white sand, bright blue waters, and splendid sunsets. For honeymooners, Boracay is a great place to relax and unwind. Luxury resorts are lined along the beach or tucked in the forested center of the island. There are beachfront accommodations for every budget as well. There are also many spas on the island from luxury to budget, and even on lounge chairs right on the shore. Life in Boracay is very chill, but there are many activities that couples can enjoy together that can be taken right out of a romantic movie. There’s horseback riding on the beach, parasailing over the water, or even a helicopter ride to take in the view of the whole island from above. Banaue isn’t your typical sunset-by-the-beach kind of honeymoon. A good 10 hours from Manila, Banaue first gained popularity for the rice terraces created by indigenous tribes decades ago. 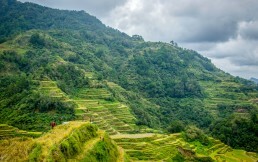 Now, Banaue has become a nature-lovers dream destination. For an adventurous honeymoon in the Philippines, head to the mountains and be awed by the lushness of Banaue.  With barely any luxury resorts, couples can cozy up in small hostels run by locals, unlike most of the resorts anywhere else in the country that are run by expats. Life in Banaue is very simple and gives visitors a great way to disconnect from the rest of the world and immerse themselves in the beauty of nature. Local culture reigns supreme in Banaue, with many of the adventures centered around life up in the mountains. Go through village walks, paddy tours, or treacherous hikes – there’s something for every level of adventurer. 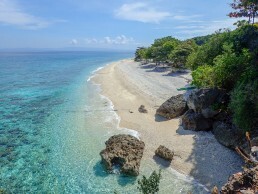 Would you like to spend honeymoon at this paradise beach in Cebu, Philippines? Cebu is one of our favorite honeymoon destinations in the Philippines. Honeymoon in Cebu offers a mix of metropolitan and island life plus some of the best cuisines you’ll find in the country at only a fraction of the cost in Manila. There are many municipalities in Cebu, most of which have been developed for tourism giving travelers a great selection of luxury and budget accommodations, fantastic beaches, and even better tours. The most high-end resorts are found in Mactan, while municipalities along the coastline of Cebu have a mix of international hotels and local accommodations. Honeymooners can start their trip in Mactan or Cebu City to enjoy the city abuzz with events, festivals, and a happening nightlife. There’s an endless list of great restaurants in with awesome viewpoints for a romantic dinner. After life in the city, couples can head off to the many fantastic beaches in Cebu. Snorkelers and divers will enjoy the rich marine life in the many reefs around the province. Every kind of water activity imaginable is possible in Cebu, or simply sit back, relax, and enjoy the blue waters of the Cebu province. For honeymooners, peace, quiet, and quality time are important in picking a place to mark their new life together. In the Philippines, the serenity of honeymoon destinations can be spiced up with exciting activities from snorkeling, diving, and adrenaline activities like parasailing to horseback riding and hiking. The list of must-see destinations in the Philippines is long. 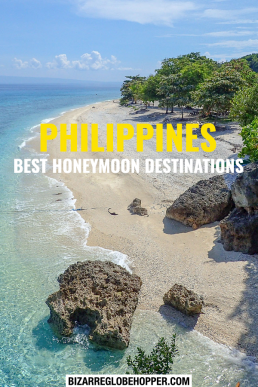 Even if you pick one honeymoon destination out of this list, you’ll and get a taste of the beauty and magic of the Philippines. 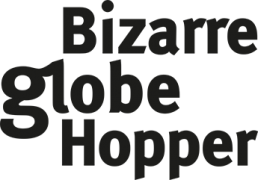 This post is written by a guest blogger. Anna Timbrook was born to travel the world having studied languages all her life. Although she travels a lot, she now calls Switzerland home and spends her time writing about her experiences on her travel blog with her husband.